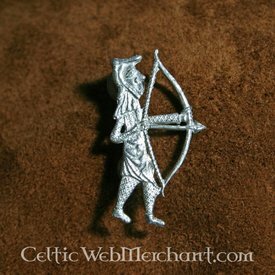 This pewter badge is a replica of a 15th century original excavated in The Netherlands. The crossbow is ready to aim. 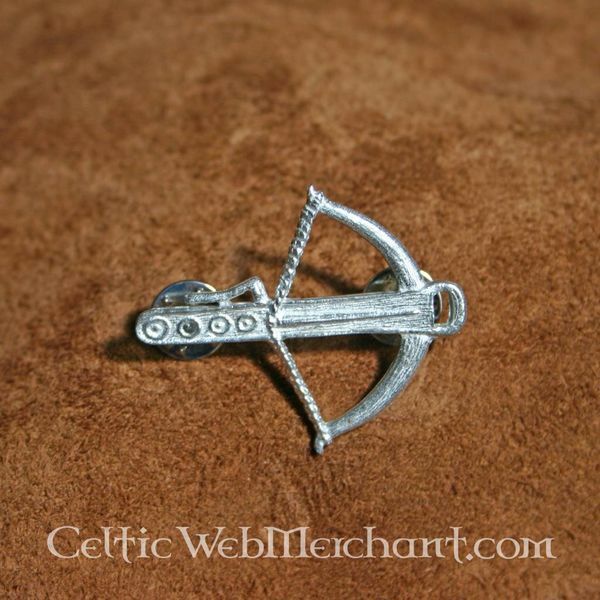 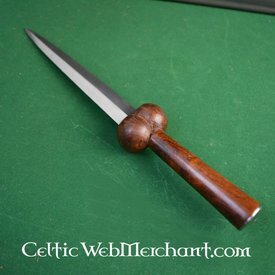 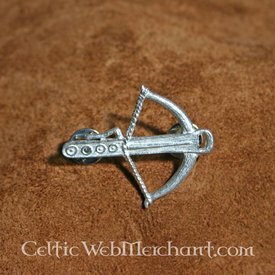 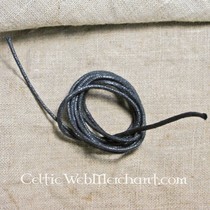 The badge was presumably worn by crossbow archers or they symbolized fertility or sexual potencies.